Think your day was rough? Try being Roya and Abu Nazir’s errand boy for the day. 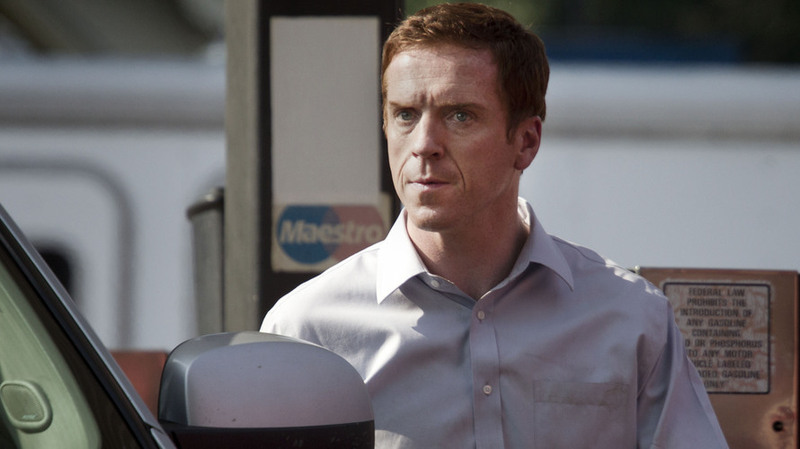 This week on Homeland, Brody and Carrie have a terrible, horrible, no good, very bad day. You could say that Carrie had it worse, what with the whole crying in the elevator and suicide attempt, but she at least ended on a good note. Brody had to kill someone else AND ended his day on an ultimatum from his wife. Plus, he had to deal with a flat tire, which is just the absolute worst. In the battle of terrible days, this round goes to Brody. When is Saul going to show the rest of the CIA the video he has of Brody? Steven: This is a complicated matter for a number of reasons. Firstly, if there is actually a mole (besides the reporter) then (s)he’ll be able to warn Abu Nazir and Brody before the CIA decides to act. Secondly, what would they do with Brody after that? (1) Mole: I have a theory that they won’t take down Brody at all, but instead will work with the intelligence they have to sabotage Abu Nazir. Why not pump Brody full of fake secrets about their next move in order to possibly smoke out Nazir? It would be very spy-y (not sure about the correct adverb there), which I always like. Furthermore, it would allow Brody a definite role in the story for at least a while longer. Which brings me to my next point. (2) Corner: I feel the writers have written themselves into a corner. At the end of last season, Carrie is kicked out of the CIA, undergoes shock treatment, and Brody doesn’t blow up… Now, Carrie is NOT in the CIA, tracking his every move, and Brody is NOT blown up. Writer 1: What do we do with him now? Writer 2: Have we sent him to Gettysburg yet? Writer 1: Yep. End of last season. Writer 2: Well, he could always go again. Don’t get me wrong, I absolutely loved watching Brody slosh around in the forest with his tailor, and the comedy of errors that were his short errand to Gettysburg, but I feel anxiety over his role in the story from henceforth. Last season we saw a man of faith, his new identity and ideology and knowledge in a boxing match with his old identity. We got to see the war on terror — Marine vs. al-Qaeda — rip a man to pieces from the inside out. Now, he’s being sent on errands by Abu Nazir through journalist Roya Hammad. If the CIA decides to use him then he’ll become their pawn as well, and we’ll merely get to see something of a espionage procedural with Brody in the middle. Maybe I don’t want them to use Brody. My main problem is that the entire first season built towards the final episode where Brody either would or wouldn’t blow himself up. The end gave us neither. Now I’m not sure what the show is building towards, and I don’t know if I would even trust it if it were. Is Carrie’s bi-polar disorder going to get the best of her, or will she recover? Probably neither. She’ll just keep swallowing and vomiting her prescription, ad infinitum. I am ranting. How I really feel about this show is tore up (i.e. “especially torn up”). I obviously care about these characters enough to tune in every Sunday night, but that doesn’t mean I don’t have my concerns about where this monumental story is headed. Susan: It’s super complicated. I think that Saul has to go to Estes in the next episode, and then Estes has to tell VP Walden. Now, I could certainly see Walden and Estes deciding to use Brody to their advantage and not let him in on it. But – now that Brody’s wife is friends with Mrs. Walden and Brody’s daughter is friends with Jr. Walden – how is he going to handle that? Will he let them continue to associate with the family of a secret terrorist? Will he use them to get more information? Will he think they’re in on it too? It’s complicated for all sorts of reasons, even without the mole and Roya roaming around. I do think it’s smart that they kept Saul on a plane for the entirety of this episode though. That was a neat trick. I think the real corner the writers had to get themselves out of was delaying Saul’s reveal. It makes Brody’s adventures in the forest even more comical if you think of it as a diversion thought up by the writing room for the purposes of distracting the audience from the video. And it worked, didn’t it? I thought about the video at the beginning and the end, but I was happily content to see what would happen next on Brody’s terrible adventure. 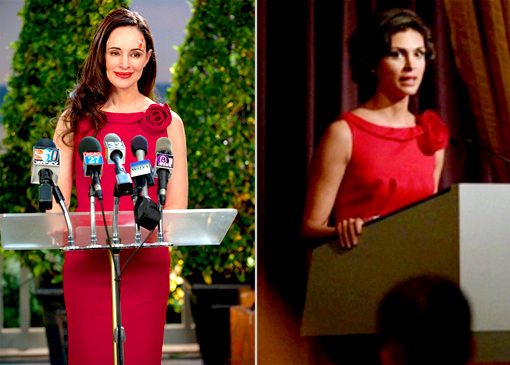 Can the Brody marriage survive? Susan: Until the end of this episode, I really didn’t worry about them at all. It didn’t surprise me that Jessica was angry enough to kick him out after he left her high and dry at the fundraiser, but I never thought about the fallibility of their marriage. It certainly makes sense, with Mike and Carrie around and their excruciatingly awkward attempts at intimacy. Plus, having Dana around would make anyone choose celibacy. Still though, I think Brody is a man of honor and commitment and I think he’ll want to make it work. It’s a little tough with all of his secret terrorist errands messing up their plans, but it’s manageable. Honestly, the weirdest thing about their relationship is that she calls him by his last name. Steven: I think that becoming an influential member of a terrorist cell might be a divorce-able offense. I am strongly opposed, strongly opposed, to divorce, but I think this just might be the loop-hole Jessica’s been looking for. For one, Brody’s loyalties have lied thus far with the terrorists over his wife and family. For two, he might blow them up. If the possibility of getting yourself and your kids blown up isn’t enough of a reason to leave your husband, then I don’t know what is. Furthermore, if Jessica finds out about Brody’s secret-life and doesn’t leave him, I won’t be able to root for her anymore. Dana might be a pain, but that’s no reason to let her explode. We have a weird house, so immediately following Homeland, we watched Revenge. During the show, we realized that we might be the only household to watch these back to back, therefore others might have missed the surprising wardrobe crossover. Another week and we’ve largely ignored Carrie. Her character is just all edge and it’s so uncomfortable to watch. The worst thing about her trip to the CIA this week was how genuinely nice Estes was to her. In the preview I thought he would play the line “You didn’t come here thinking you’d be reinstated, did you?” like a mean girl, so I was amazed and even more devastated for Carrie when I realized his emotion was genuine, but far too late. The only time I thought about Saul and his video surprise during the middle of the episode was when Carrie was sucking down her wine and triangle pills. It would have been so tragic to have her die just hours before she found out that she was right about Brody. Thank goodness her survival instinct can cut through the depressive side of her disorder. Pretty clever use of dramatic irony by the writers to save Carrie’s inevitable suicide attempt for that moment.